When it comes to eradicating Japanese Knotweed in Church Stretton. Japanese Knotweed Expert is the company for you. We are an expert in treating and eradicating this invasive plant. It was originally brought over to the UK by the Victorians from East Asia. It was brought over to form part of their ornamental gardens and to line their new railway embankments. Little did they know, when it is taken from its natural environment how invasive it can be. Away from its natural environment it lacks any natural control measures, that are native to Japan. As a result, methods for eradicating Japanese Knotweed in Church Stretton and throughout Shropshire were required. Over the last few years insects native to Japan which are enemies to Japanese Knotweed, have been safely released into parts of the UK. However, these can only control a small proportion of the large outbreak throughout the UK. Meaning that further methods are needs to eradicate this plant. These methods are some of the most effective treatments for eradicating Japanese Knotweed. As a company we have been eradicating Japanese Knotweed in Church Stretton for many years. Meaning we have the experience needed to treat Japanese Knotweed. Our experienced team also have the necessary qualifications required to carry out the treatments on Japanese Knotweed. 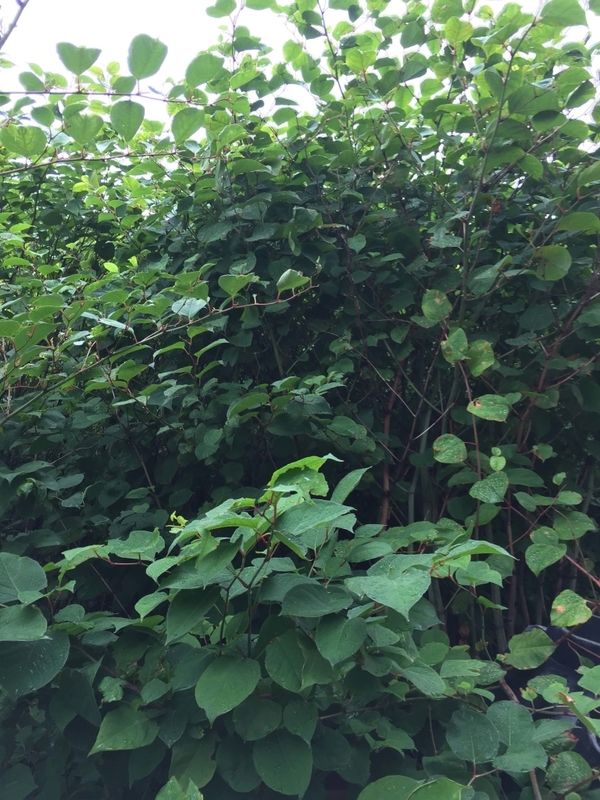 All our treatment methods and documentation is to the PCA and RICs standards and guidelines, ensuring the safe, legal and effective removal of Japanese Knotweed from your land. Do you need assistance eradicating Japanese Knotweed in Church Stretton? Then look no further Japanese Knotweed Expert, is the company for you! Contact us today on 0800 1337 444.